2nd May 2018: A new Cryosat Antarctic 1km DEM is now available from CPOM. A full explanation of the methods and data is given in: Slater, Shepherd, McMillan, Muir, Gilbert, Hogg, Konrad and Parrinello: A new digital elevation model of Antarctica derived from CryoSat-2 altimetry, The Cryosphere, 2018. DOI 10.5194/tc-12-1551-2018. When using these data, please acknowledge the authors by citing this article. The surface elevation of the Antarctic ice sheet and ice shelves was derived from approximately 250 million measurements recorded by the CryoSat-2 satellite radar altimeter between July 2010 and July 2016. DEM and supplementary grids (slope, grid cell data composition, uncertainty) available in netcdf and geotiff formats. 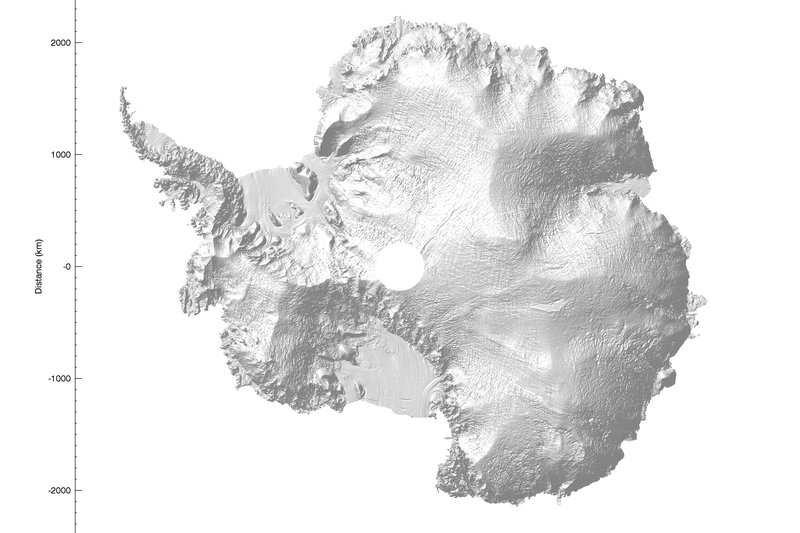 View a high resolution relief map of Antarctica generated from the DEM.